Studio, 1 au 2 room apartments. 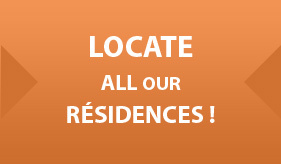 The Parc Harmonie student residence offers furnished and fully equipped student flats rentals. Eligible for ALS (Social Housing Allocation). From studio to 2 room apartments. 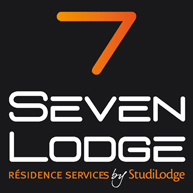 The Seven Lodge student residence offers comfortable, bright and fully equipped student apartments.. Studio and large one room apartments.. The Philéas Lodge student residence offers modern, fully equipped and serviced student accommodation..
Lyon was recently ranked the first most attractive city in France by the “l’Entreprise” magazine. Ideally located at the crossroads of Europe, Lyon is very easily accessible, by the TGVs, highways and flights networks..
With its word-famous university hospital complex, its numerous schools and universities, Lyon boasts several poles of excellence that make the city a reference for the students. Listed in the UNESCO world heritage, famous for its gastronomy, Lyon is a city that is able to combine living comfort and economic development. StudiLodge offers contemporary student residences, providing numerous services, located in the direct vicinity of the greatest education establishments to make the daily life easier for the students. 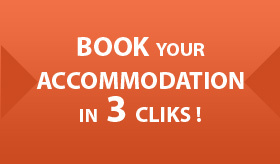 You are doing an internship, you are on a business trip or a visiting tourist… Take advantage of the "Short Stay" solution by StudiLodge!